Free World Order: DID THE JEWS CURSE THE KENNEDY'S? Against the New World Order... join the Free World Order! DID THE JEWS CURSE THE KENNEDY'S? 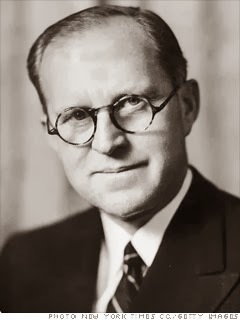 According to a story that is told in mystical Jewish circles Joseph Kennedy(JFK's father) returned to the US aboard an ocean liner that was also carrying Israel Jacobson, a poor rabbi, and six of his students who were fleeing the Nazis. A notorious anti-Semite, Kennedy complained to the captain that the bearded Jews were upsetting the first class passengers by praying on the Jewish high holy day of Rosh Hashanah. In retaliation, Rabbi Jacobson put a curse on Kennedy, damning him and all his male descendants to tragic fates. DID THE MCCANNS SELL THEIR OWN DAUGHTER?